Responsive design allows you to design a single website for all devices because the site recognises the type of device and automatically serves a page that responds to the size and capabilities of the device. This means the site appears to be optimized for any screen size. As we can see from the pros and cons below though, a mobile response site just adjusts to the screen size. All the content from the desktop site still needs to be downloaded. 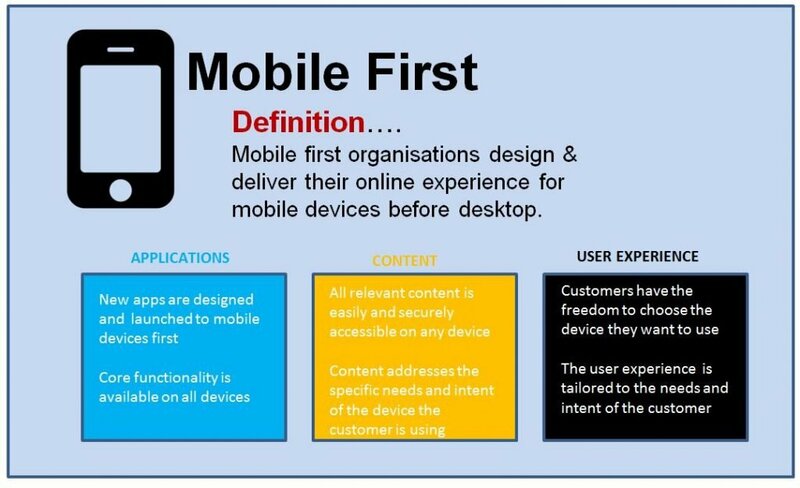 This is one reason why a mobile first approach is advisable with a responsive design. 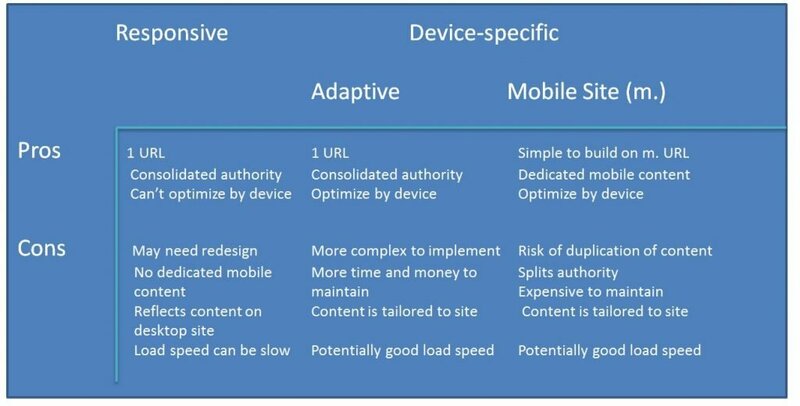 The danger with a responsive site is that some of the content will not be relevant to customers on mobile devices and load speed will also suffer. Here a desktop site for Salford Van Hire uses a responsive design to create a mobile experience. Unfortunately there is far too much content for a mobile user and the navigation has not been adapted for the mobile experience. But removing too much content from a site may compromise the desktop experience and so an adaptive design may be better for the end user. With the advent of mobile only users it is important to select an option that delivers comprehensive functionality for mobile devices.